Have you ever wondered if being a triathlete could land you a career? Spoiler alert: it can, in the United States Military. And these careers are pretty cool. Ladies, you listen up too! Just because it’s the military doesn’t mean that you’re ineligible. With Secretary of Defense Leon Panetta’s announcement on Thursday that most combat positions will be reviewed to see if they can be accessed with gender-neutral standards, you could find yourself turning your swim-bike-run training into something bigger as well in the next few years. A US Air Force recruiter stopped me at school a few weeks ago and asked if I had ever considered joining the Special Forces. Of course, I was confused about why on earth I caught his eye, so I asked the man why he picked me. He pointed to the triathlon logo on my jacket. “We’re looking for physically qualified people to join the Special Forces – and the fact that you’re a triathlete means that there’s a good chance that you’re more than qualified for the job,” he told me. And after further research into the different branches, I realized that the minimum physical requirements for some of the most widely-recognized “impossible” jobs in the Army Green Berets, Navy SEALs, and Air Force Special Tactics could be attained by many triathletes just from their current training. Apart from becoming an Olympic triathlete, could you think of a better way to take your training and use it for your country? There are plenty more requirements than just the physical ones, but there’s no harm in checking any of them out to see if turning your triathlon training into something else within the Military could be the right thing for you. Take a look and see if it’s something that you could be interested in. If you love the sport of triathlon and love your country, there are few jobs that would allow you to tie the two together. 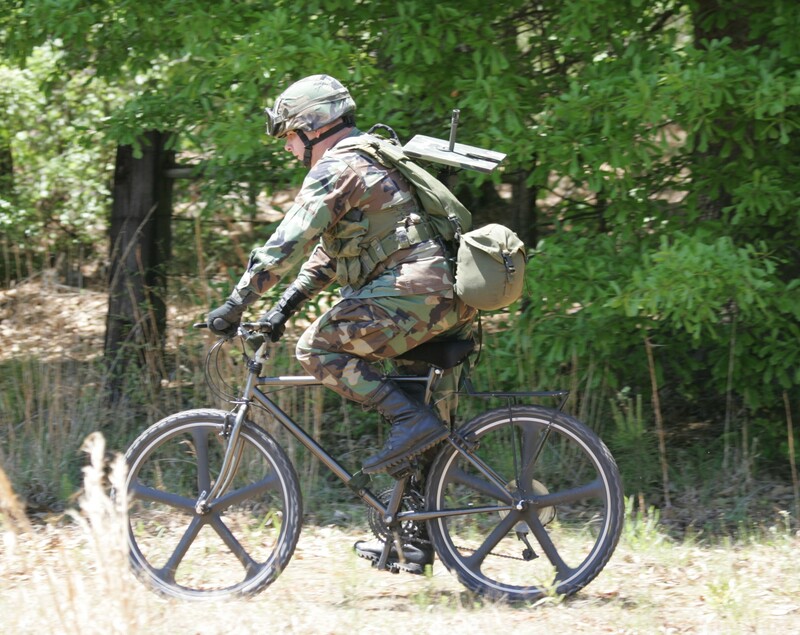 If you’re a stronger bicyclist, you may have to spend more time on the swim and the run – but you’re still already more prepared for Special Forces than the average Joe Shmoe. Note: Always check with your parents before signing any paperwork!